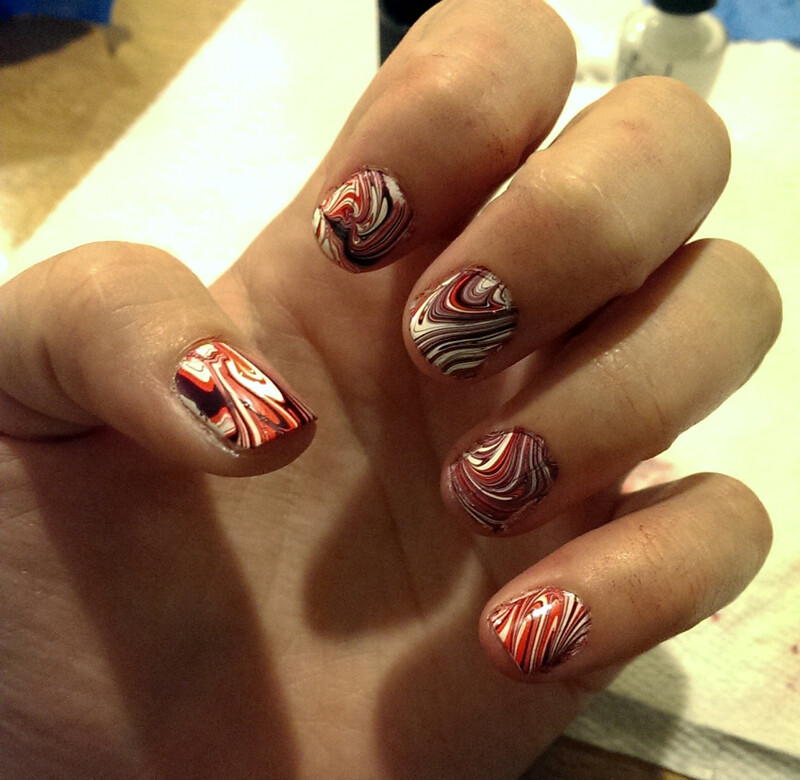 Marbled nails look really cool. I used to always see these nails all over the internet and wonder how on Earth people did it. 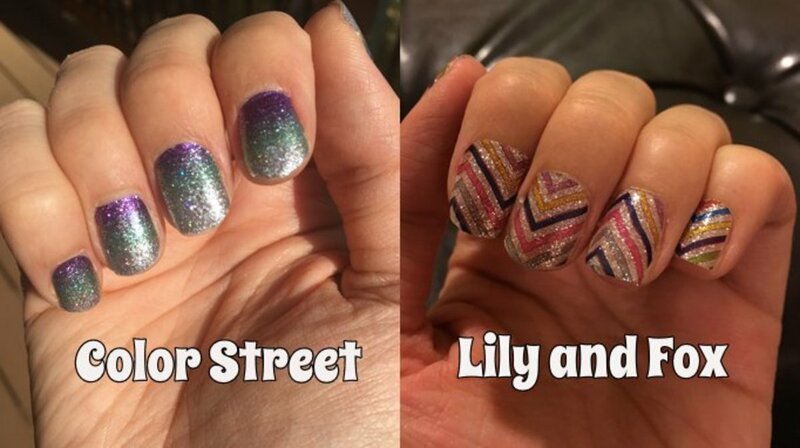 It seriously looks like they took a sticker and put it on their nails (which, apparently, is a thing now). I learned how to do this from a post on Tumblr. The post in question was just a group of images without any text showing you what to do to create the look. I looked at it and thought, "OK! That's easy enough!" Unfortunately, the graphic tutorial didn't contain any tips and tricks that are useful when trying to do this, and also wasn't very complete in the steps, either. After several tries, I finally eventually got the look I was going for. Even though some of my nails looked really janky, I was happy with it for the time being. But I did want to get better at it! 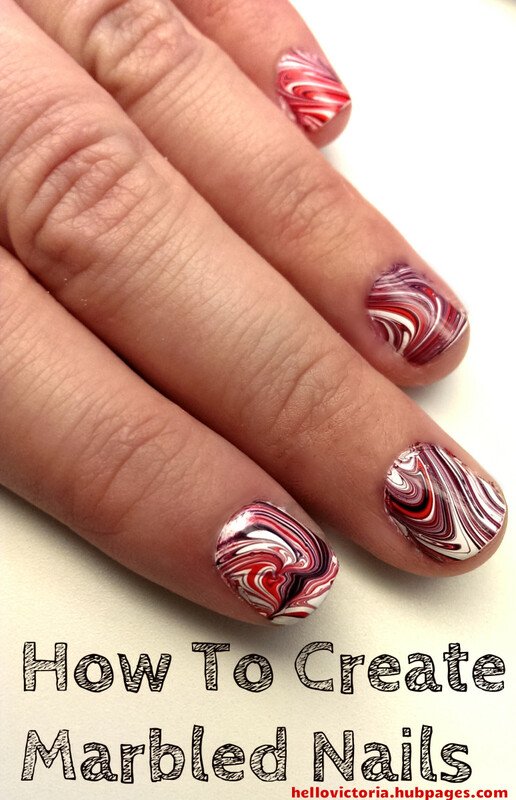 I began doing the marbled look more regularly, and have discovered some tips and tricks to accomplish this method of nail art in the cleanest, easiest way possible. Here is an easy DIY guide for creating that marbled look at home! - a small cup that you don't care about. It must be at least an inch deep. I used a quarter measuring cup. - room temperature water. It is absolutely imperative that this water is room temperature, and not cold or warm to the touch. - The polish colors you would like to use. OPI nail polishes work great for this style of nail art. For the base coat you'll want to use a white or a pastel, to ensure the rest of the colors show up. 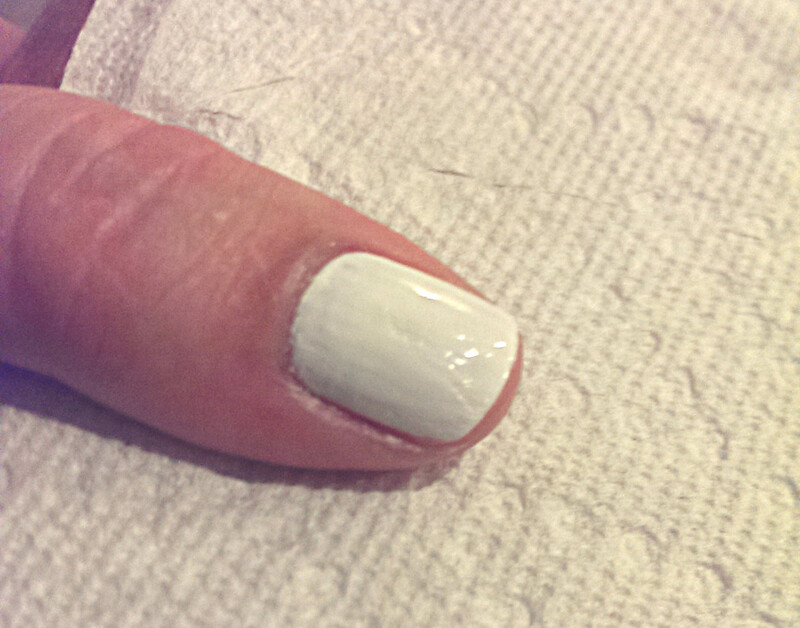 I really like using OPI Alpine Snow as my base coat. 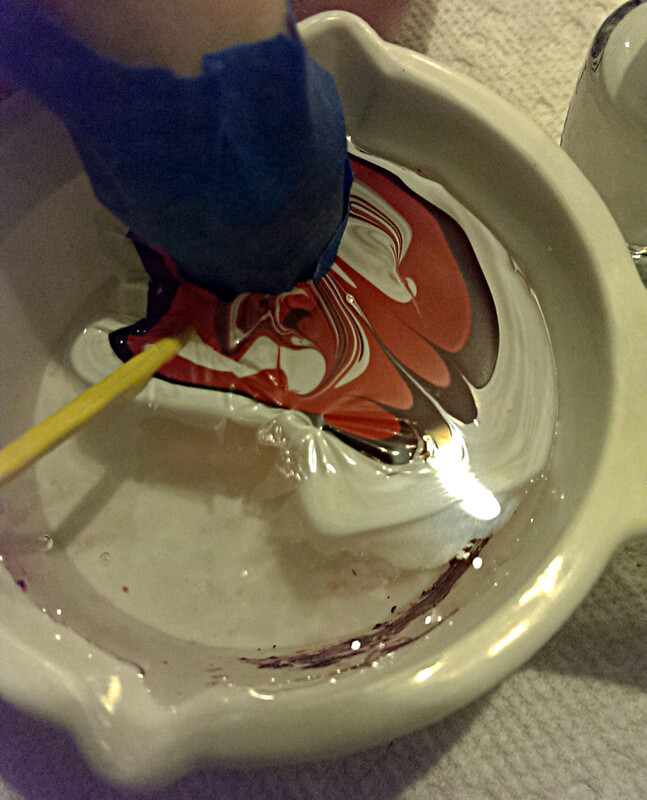 Then you'll need to pick two other colors to mix with for the marbled look. - Masking tape or Scotch tape (I prefer blue painters tape or masking tape). The cup you choose should not have a large surface area for the water. The smaller the cup, the better - so long as it is at least an inch deep. If you have a big surface area for the water in the cup, the nail polish will spread too much and you will end up wasting a lot of it! I've used the little disposable sauce cups from restaurant - those are great for this type of project! The water in your cup CANNOT be too hot or too cold. The temperature of the water will either cause the polish to dry too quickly, or it will cause it not to separate properly. for this reason it is very important to ensure that the water does not feel hot or cold to your touch. It is very important that your polishes are new or like-new, and cannot be the instant-dry nail polish. Firstly, the polishes must be new or like-new because older polishes tend to be more dried out than when you first purchase them, which affects their ability to spread in the water. Instant dry nail polishes also have the same issue - because they dry so quickly, they will not spread on the surface of the water but will clump and sink. 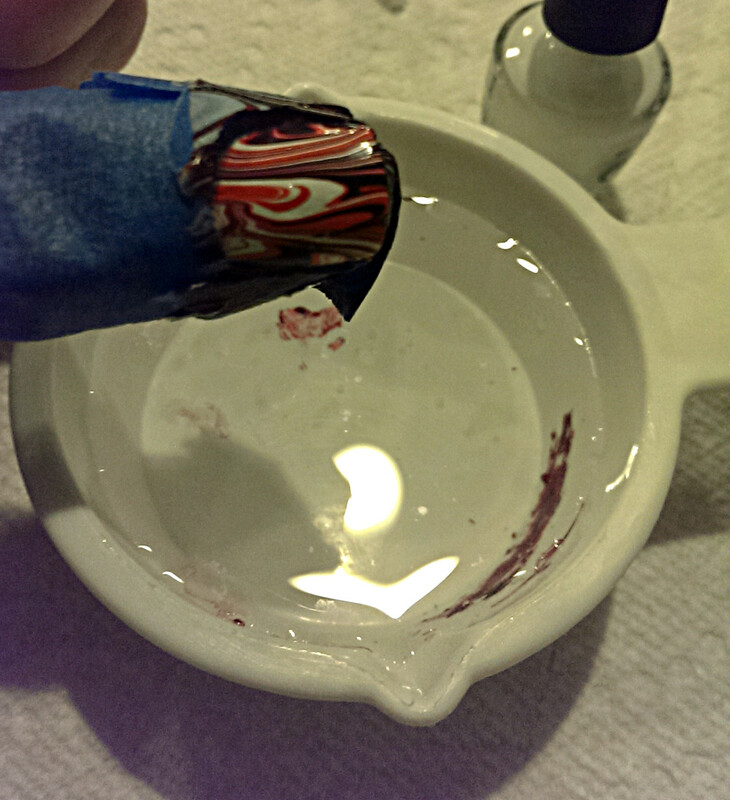 You can test your nailpolish to see if it will work for this project by dropping a small bit of it into the water. If the nail polish stays in a clump or sinks to the bottom, it is too old and cannot be used for this project. If it stays on the surface of the water and spreads out across the top without clumping or sinking, it is perfect to use. 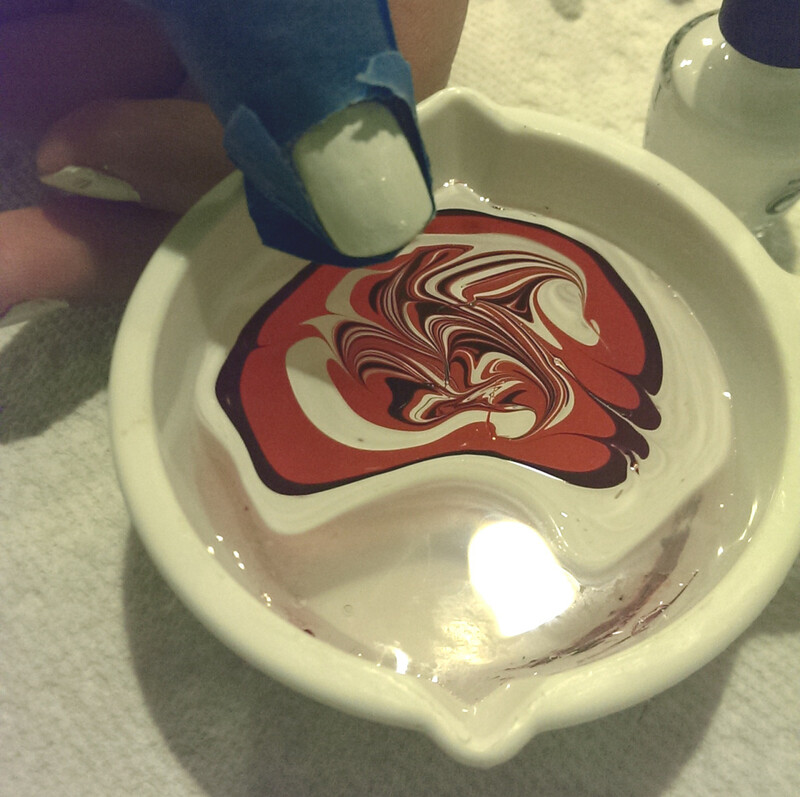 The nail polish remover is easiest to deal with when you pour it in the cap. The nail polish remover will come in handy when you are cleaning up the nails and the nail beds after each coat of polish. Since you are working on details and will be using Q-Tips for this, it is very convenient to pour a little nail polish remover into the cap for easier access. Switch your water out if you notice it is getting really dirty. 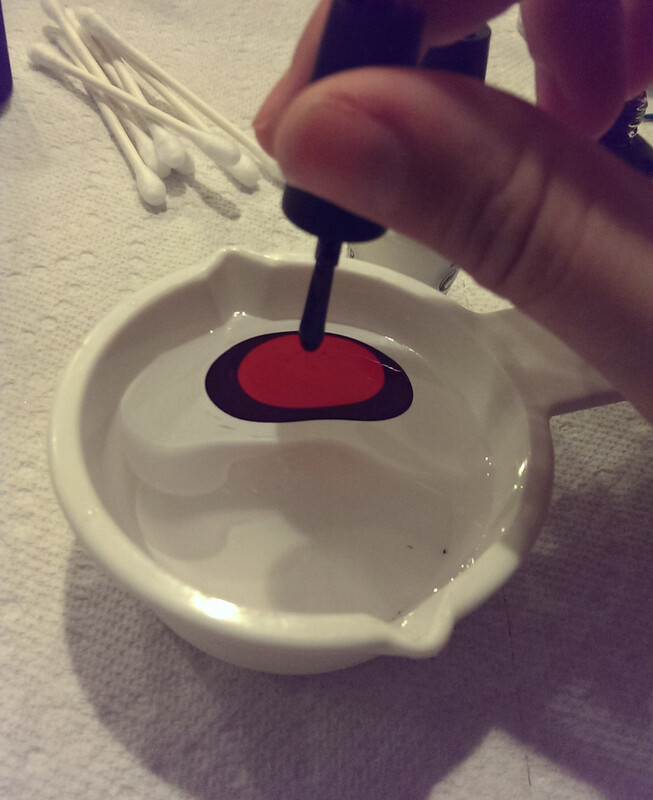 The water will become dirty from all of the nail polish you are dropping into it. 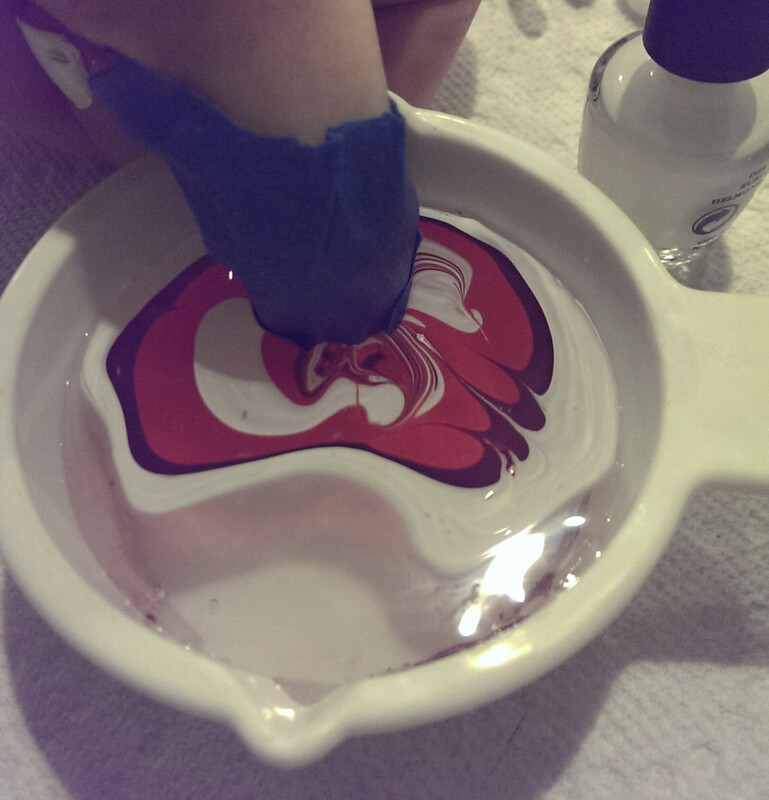 If you start having issues getting your nail polish to spread, you will need to switch the water out. I can usually get one hand done before I have to switch it out. 1. Paint your base coat and color. 2. Tape your nail all around so that as little of your skin is visible as possible. 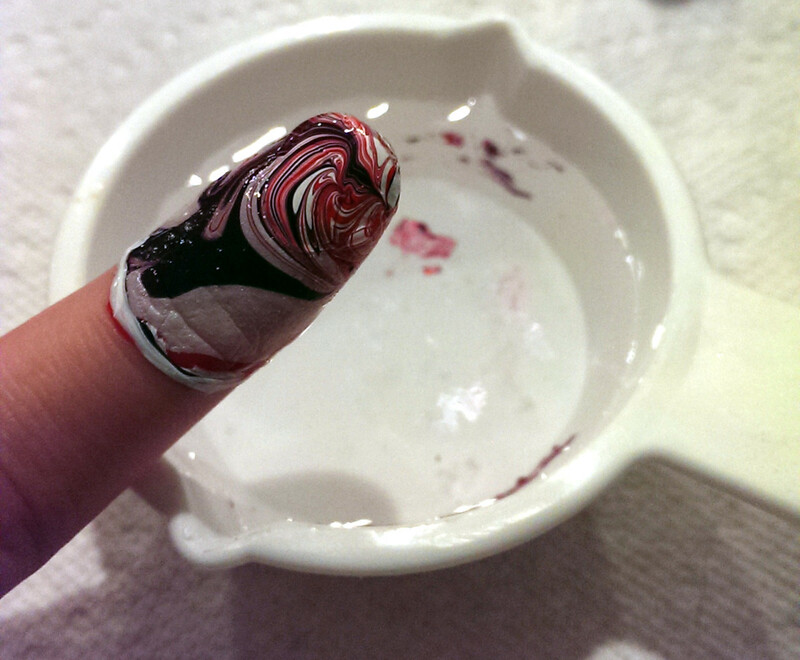 Alternatively, you can also use liquid latex around your nail. 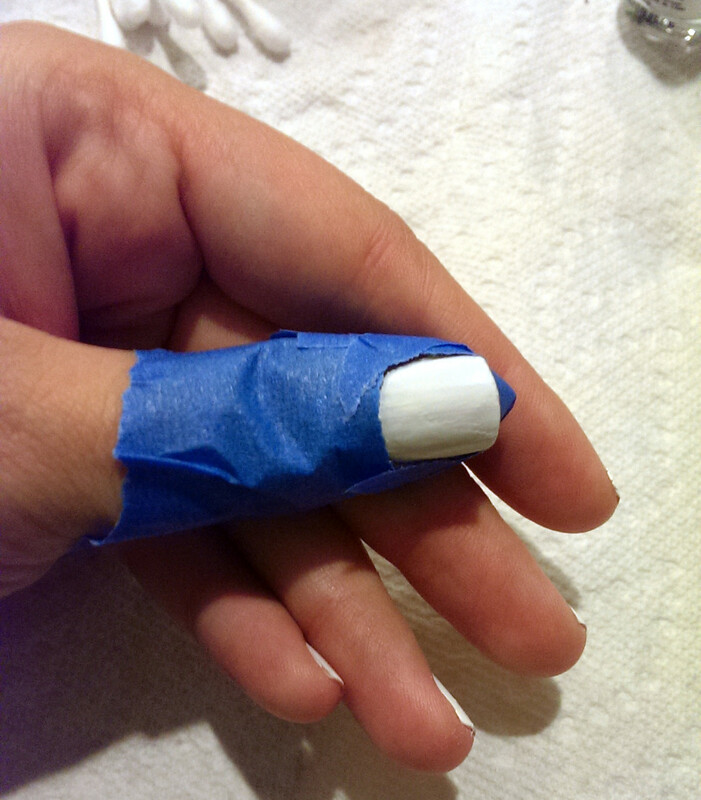 I particularly like Pueen Latex Nail Tape - it dries quickly and peels off easily! 3. 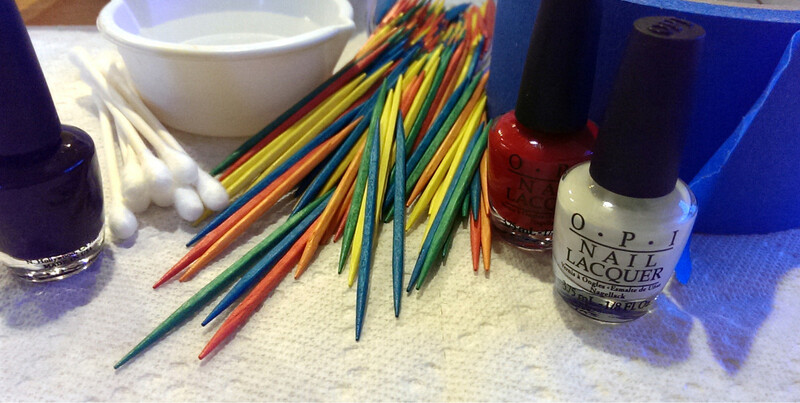 QUICKLY drop the nail colors into the water, alternating colors however you want. 4. 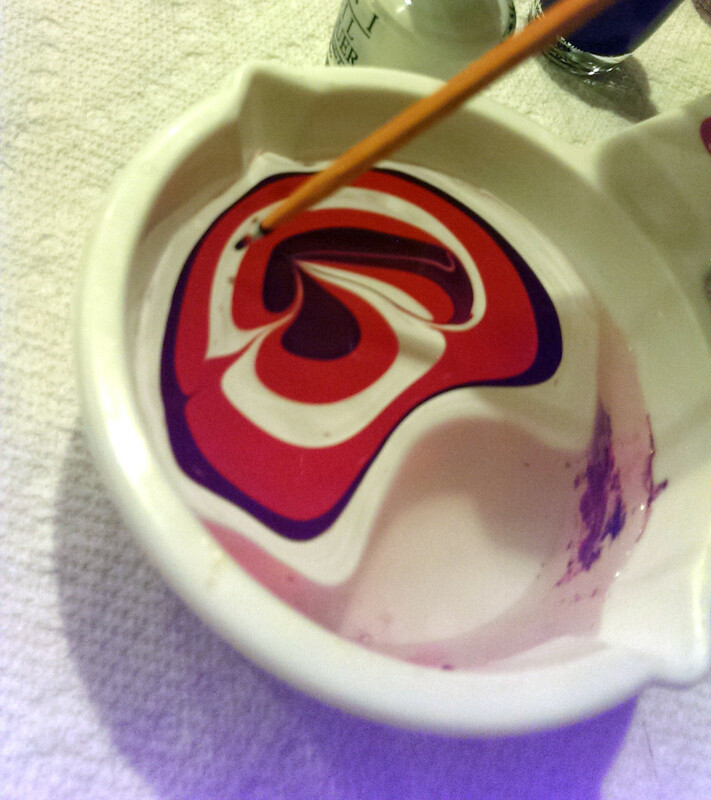 Swirl the colors together lightly with a toothpick. 5. 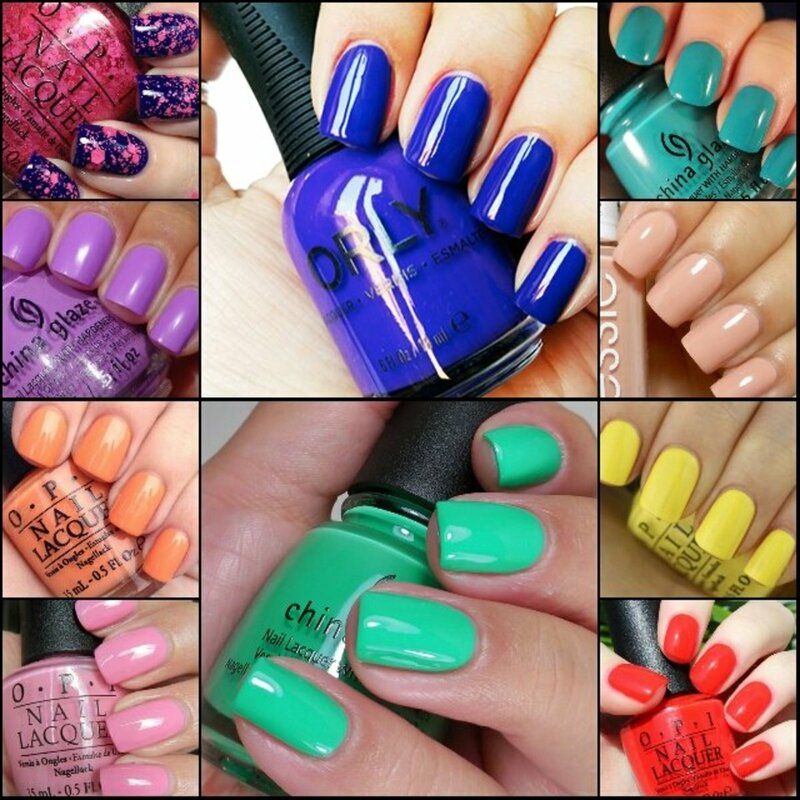 Identify the pattern that you would like to show on your nail. Strategically place your nail over the design you want. Carefully dip your nail in the water. 6. Lightly blow on the top of the water while keeping your finger submerged. 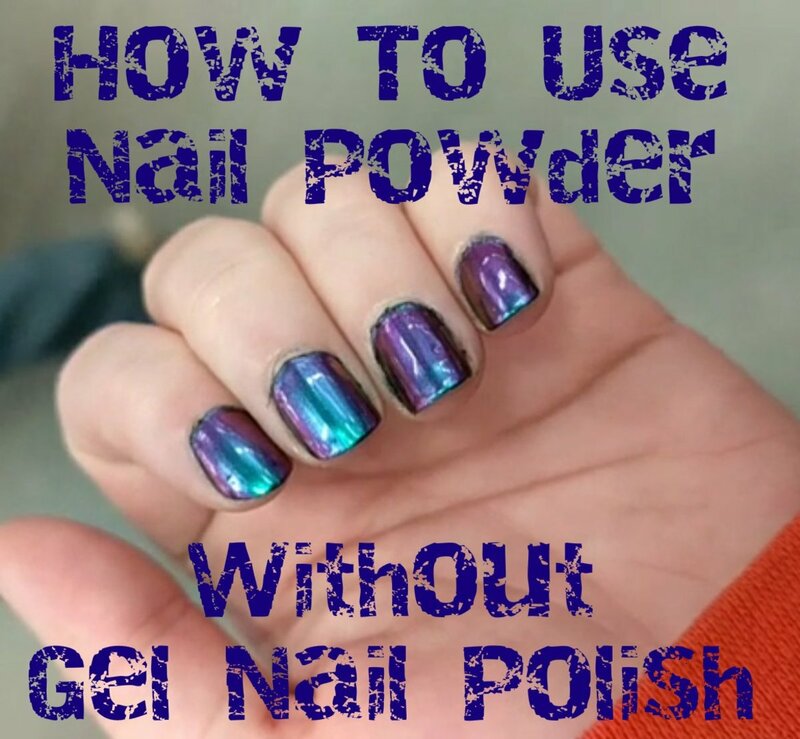 Take a toothpick and pick up the dried nail polish from the water. 7. Take your nail out of the water. Let dry for a minute or two. 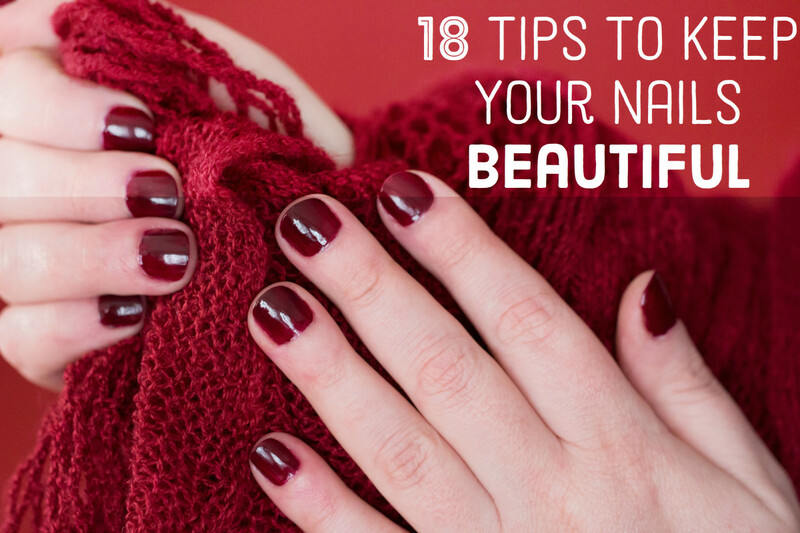 Peel back the tape, and use a Q-Tip to clean up any polish that may have gotten on your skin. *Note* This is what happens if you do the nail polish without the tape. 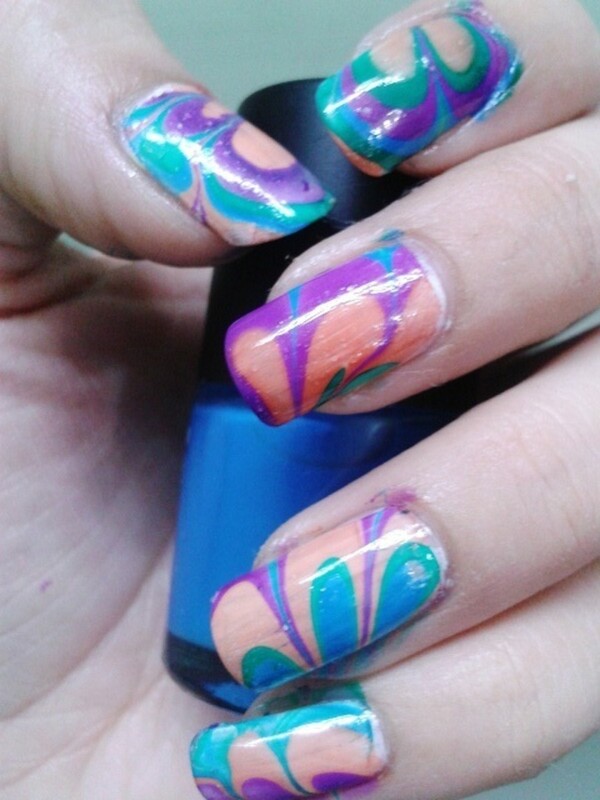 Now you know how to create the Marbled look on your nails. 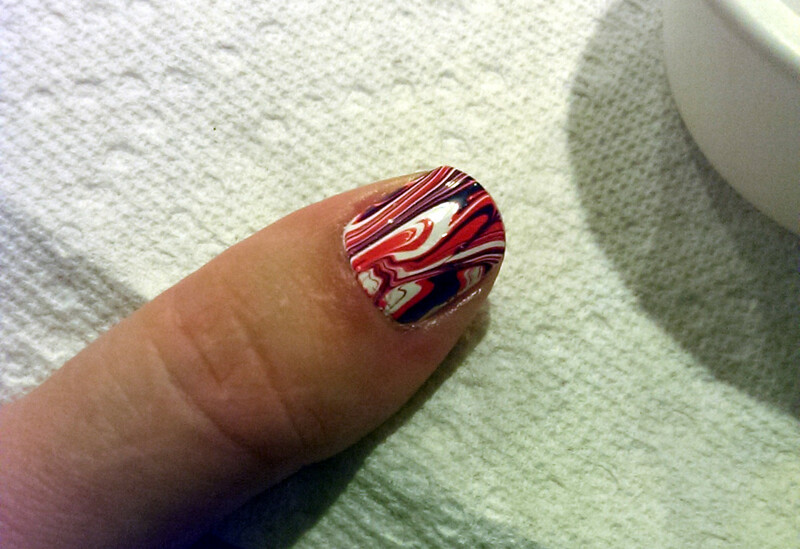 The marbled nail looks really cool as an accent nail as well. I will paint my nails all one color that I use in the marble and then do the marble only on my ring fingers and it looks really good! 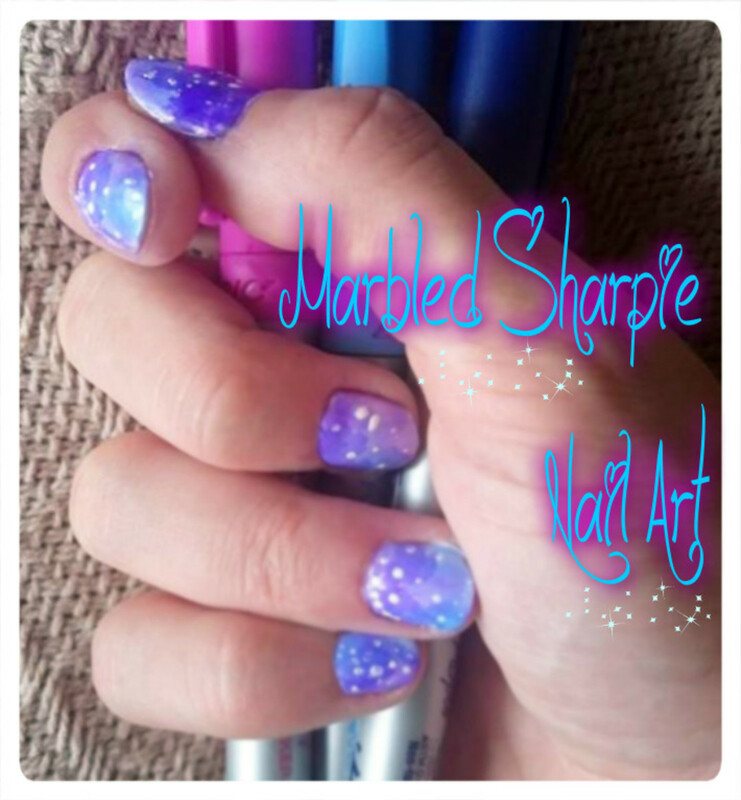 This nail art is super easy and really cool looking when you are done! Don't worry if you don't get it right the first time - you can always take the polish off and try again!